The BBC has cut scenes of asphyxiation and skull-cracking from this Saturday's episode of Doctor Who after producers decided they were too scary for young viewers. 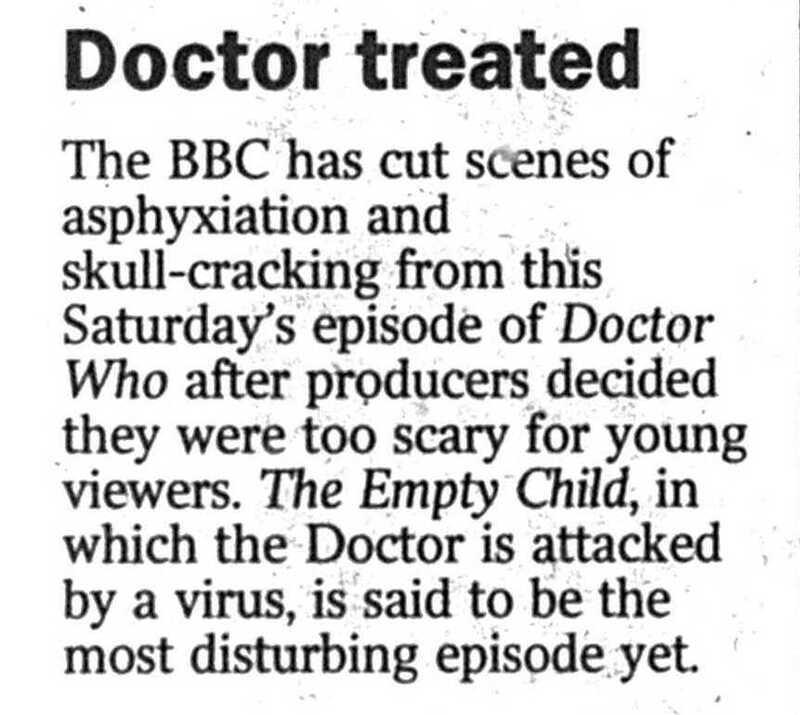 The Empty Child, in which the Doctor is attacked by a virus, is said to be the most disturbing episode yet. APA 6th ed. : (2005-05-19). Doctor treated. The Times p. 11. MLA 7th ed. : "Doctor treated." The Times [add city] 2005-05-19, 11. Print. Turabian: "Doctor treated." The Times, 2005-05-19, section, 11 edition. This page was last modified on 26 April 2014, at 12:22.